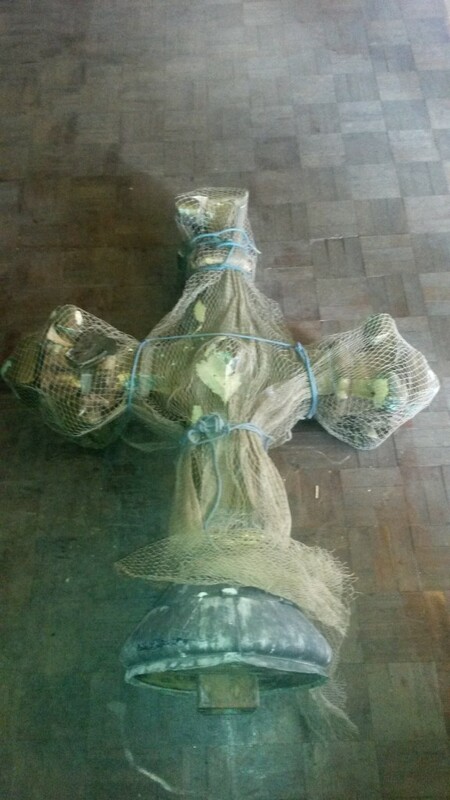 When pieces of cross began appearing on the ground in front of St Bartholomew’s in Brighton, the church team knew that urgent action was required – and that large repair bills were on the way. St Bart’s is known for different things to different people. Its Ark-like proportions are part of local folklore. Claims about its height come in many different forms. It’s pretty safe to say though that at 144ft, it is the tallest parish church in the country if spires aren’t included (to put this into perspective, the spire of St John’s in Hove is 160ft). This height and the monolithicness of the building generally, when considered against the surrounding rows of low terraces, are truly striking. And a cross at each end of the building provided the beacon that was so important in creating a beacon-like power that drew in the masses when it opened in 1874. It was around five years ago that the deterioration of the famous cross on the south end of the building was noticed. The roof is inspected regularly and lightning conductors are inspected every 18 months. Iron bands were added at that point to strengthen it and later netting was added. 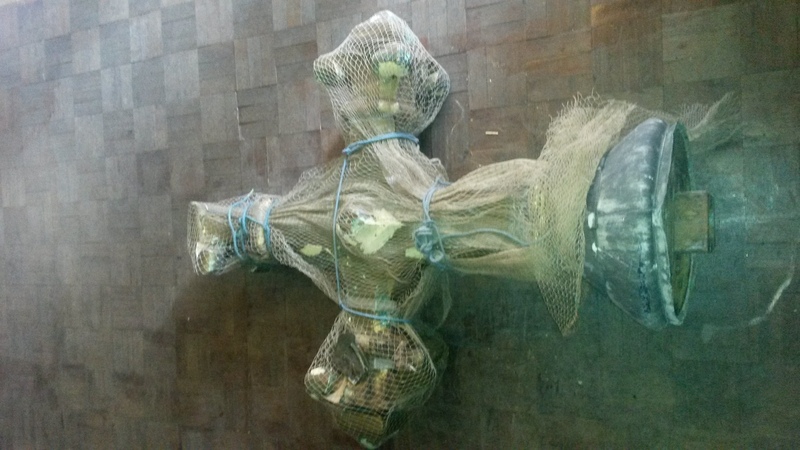 A decision was recently taken to remove the cross which cost £5,000 in scaffolding alone. The oak cross is currently situated within the entranceway of St Bart’s. It’s around 6ft high (9ft with its stone base that remains in place on the roof). It was installed in 1992 by a firm that was based, appropriately, on Chapel Street nearby but sadly hasn’t lasted anywhere near as long as its two predecessors. The previous cross was added in the early 1930s which replaced the original of 1874. Up-close, gold leaf, a lead collar and ornate detailing that could never be seen from the ground are apparent. During my brief time in St Bart’s, I came to appreciate more its spell-bounding charm which draws in visitors from all around the world. 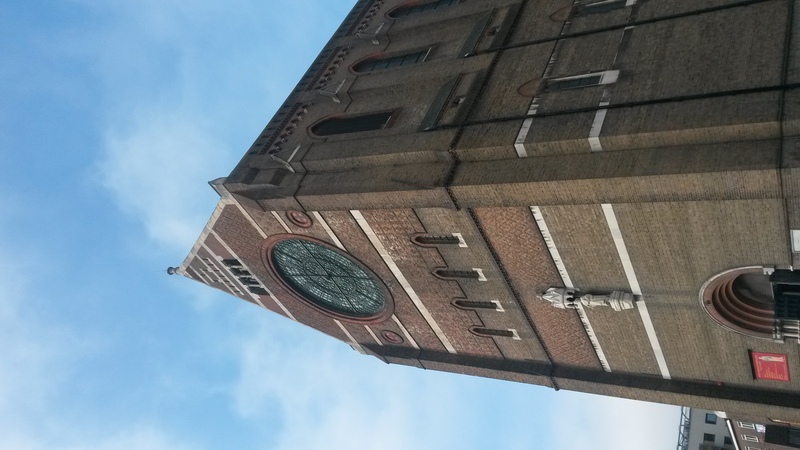 As one of a number of Wagner churches in Brighton & Hove (a list that includes St Martin’s, St Michael & All Angels, St Patrick’s and St Paul’s), its history is about a lot more than just a building. But that’s a story for another time. More pressing is what happens next to the roofline of one of Brighton’s most prominent landmarks. 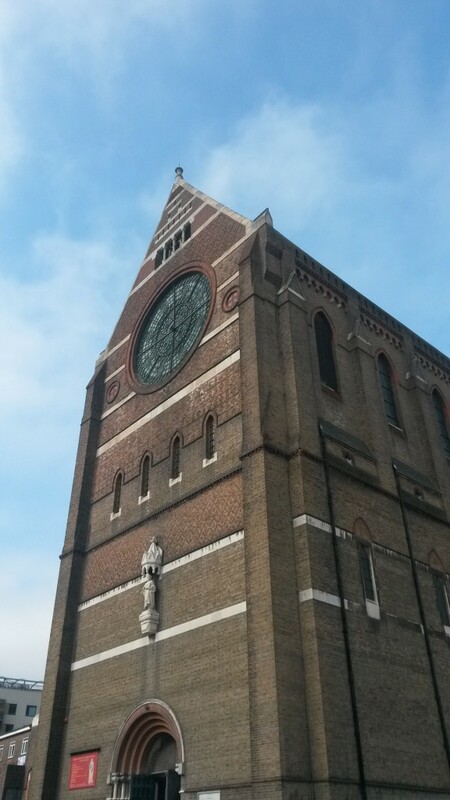 St Bartholomew’s just isn’t the same without its enticing cross.